I will survive this and overcome it. Nothing will keep me down. I will rebuild myself stronger than before. 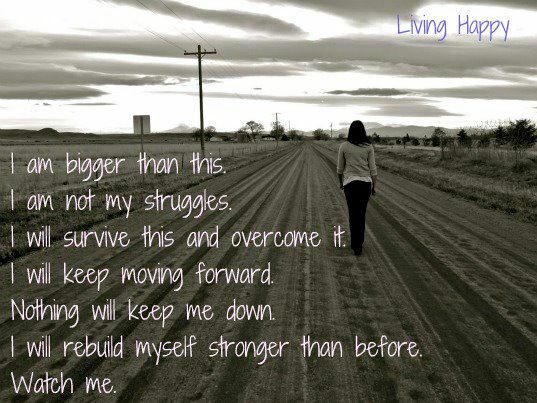 I will rebuild myself stronger than before. Watch Me! Don’t quit! Now is the time to exercise. Exercise is not optional. We need to exercise our bodies. A lot of cleaning is done with our lymph system and the only way it drains that poison from our bodies is when we exercise. So go for a walk in the woods, or along the shore. Get giggling! Get well!